What is London for Families? 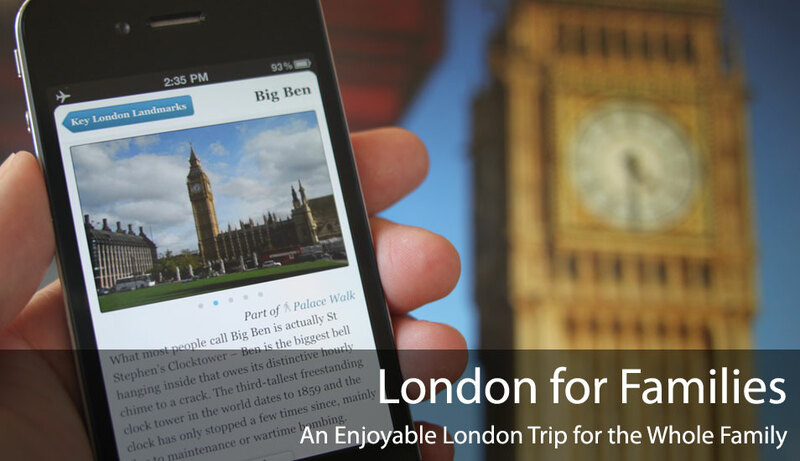 HoodHot Travel’s London for Families makes it easy for the whole family to enjoy London. Because parents deserve a memorable and hassle-free trip! Not only are London’s most important venues listed, relentless research, tips and tricks from Secret-London.co.uk’s Kieran Meeke ensure that every venue can be approached in a family-friendly way. This isn’t a children’s guide – it’s a guide that the whole family can enjoy. Don’t miss London’s best at your children’s expense! 15 year London veteran Kieran Meeke of Secret-London.co.uk shares his insight on family London with the rest of us. 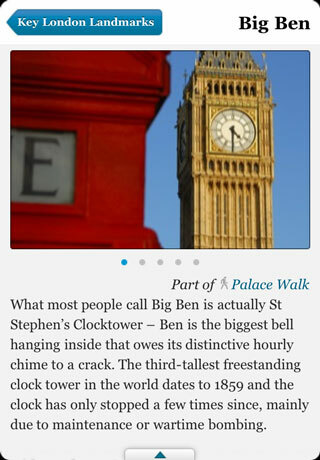 London is a city of history and intrigue – we have outlined London’s key landmarks, with half-day guided walks and tours that make it easy to plan and see the city’s most important locations. Of course, the guide is also filled with parks, gardens, zoos, and attractions that can keep the kids occupied and you relaxed. And with kids to take care of, time is of the essence. The instant, five-word QuickList summaries of every venue help you pick with just one flick through any venue list. Kieran takes you on a personal tour of the icons and history of London in the Palace and Trafalgar Square walks around the city center. Muggle fans of the wizarding world can see a listing of the London locations used in the filming of the Harry Potter movies, and if the weather is right, adventurous families can take guided speedboat tours of Thames. Sometimes you don’t want to think about your next steps. Why should you? Simply touch the Teleport button and you are provided a handful of suggestions for great next steps. The Teleport Machine knows where you are, and what time it is, and gives you suggestions not only on things close by, but things that are relevant. 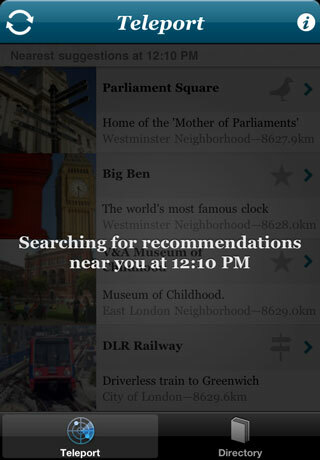 Noon in Piccadilly? Get some lunch! And as parents it is often hard to manage both the children and enjoying your trip. Too often toddlers are tired and the instant you need to change the baby all the restrooms seem to have disappeared. No worries there – close restrooms, pharmacies, and grocery stores for feeding the baby are listed for your convenience. No roaming necessary. Our detailed offline maps pinpoint the entrance or gate that should be entered, not just a pin in the center of a massive building. 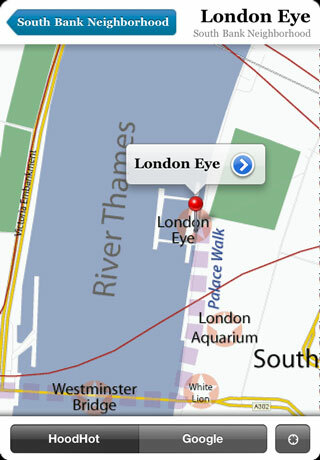 With a 3G or newer iPhone, your precise location is overlaid on the map as you walk, even without using data. If you prefer, use your data connection to access Google Maps with a touch. 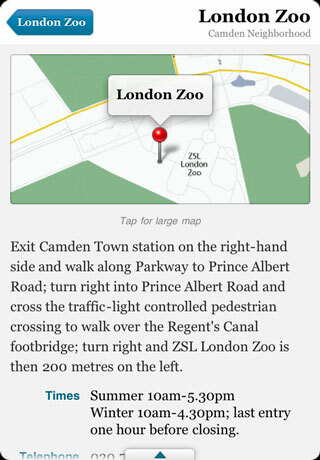 Detailed walking instructions from the closest tube station ensure that the whole family gets there safely. With toddlers in tow, you need all the help you can get. Kieran’s encyclopedic knowledge of London shows in the many tidbits of interesting information that he shares at each stop. Verifying these facts often takes a bit of digging or searching on-location. Completing missions and trivia for points along the way keep the children engaged as active participants in both the planning and experience of travel. 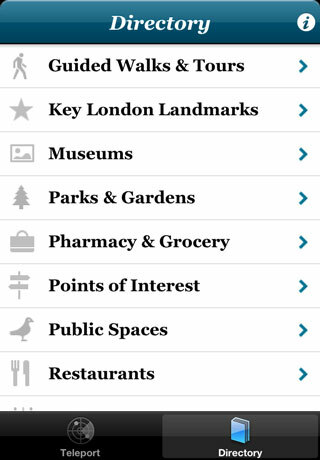 Allow them to actively search for a hidden treasure or special feature of London’s history – with your help they’re sure to find many interesting things. Just be sure to take plenty of pictures of their (and your!) successes along the way – instead of just being part of another family photo, bring home memories that the whole family can share. Even if home is only an hour away.